NadaMoo! — McCray & Co.
NadaMoo! is one of our favorite frozen desserts, so it was a real treat when they approached us about designing their first-ever Scoop Shop. The Scoop Shop is part laboratory, part old-school scoop shop, and all kinds of delicious. 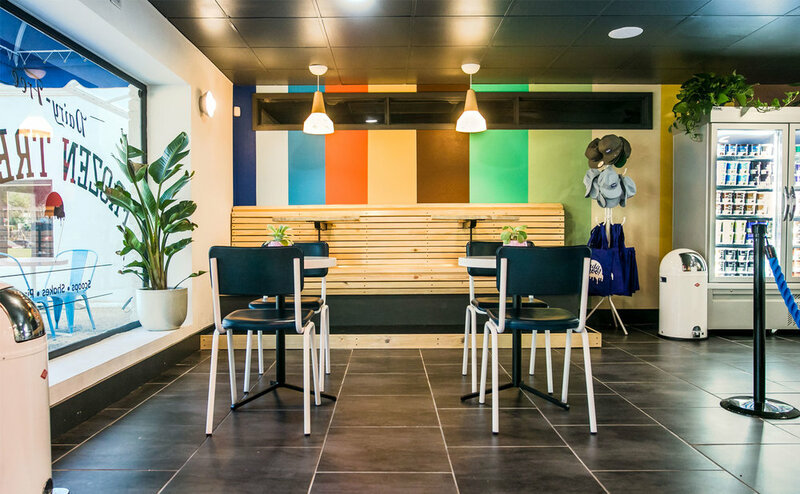 Our goal was to create a space that felt as fun, vibrant, and colorful as NadaMoo!. NadaMoo! is made from coconut milk, so we incorporated tropical feels everywhere we could. 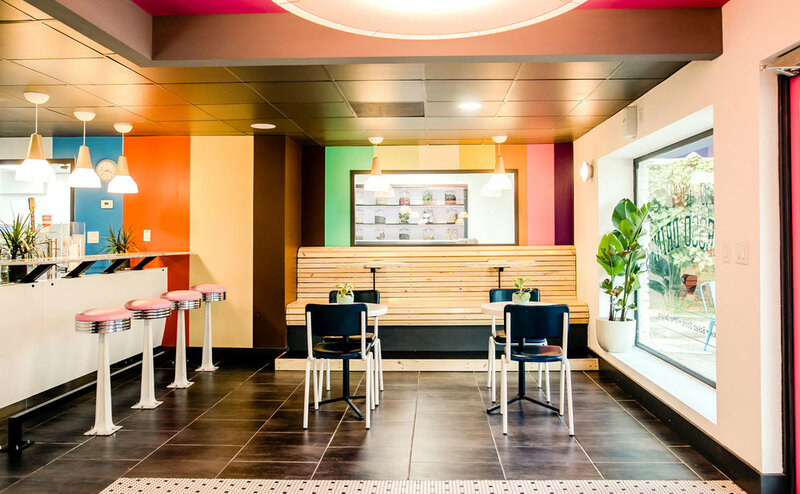 We used bright colors and incorporated classic soda shop barstools and tile. And our friends at Blue Genie brought the wonder with giant sprinkles across the facade and an oversized spoon door handle. Yum! Sign up for our occasional dispatch, delivered direct. © 2019, McCray & Co.